Extra Virgin Organic Chia Seed Oil (Salvia hispanica L) - Sweetgrass&Rain Inc.
Chia Seed Organic Carrier Oil is extracted from the seeds of the organically grown Salvia hispanica plant, which are mostly grown in the South America. 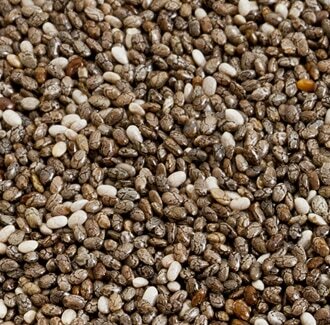 Chia Seed oil is a commonly used culinary oil in the region. Chia Seed oil is extracted without the use of chemicals or solvents and its done at low temperatures to preserve the nutritional properties of the oil.